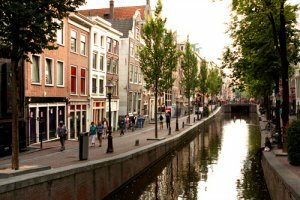 What are the 10 things to do in picturesque and vibrant City in Amsterdam? Amsterdam is a small but vibrant city with plenty to do and see. An efficient public transport service makes everywhere quick and easy to get to. You could even consider hiring a bike during your stay as its the most popular way to get around! Whatever genre of music you’re into, Amsterdam has some of the best venues. Enjoy world class jazz performances at the Bimhuis, classical music at the Concertgebouw, or visit some of the many jazz cafes for great entertainment. The Melkweg is a popular venue for rock, soul, jazz, and funk. Amsterdam is well known for its museums and art galleries. All of them are within easy reach of each other and house some of the finest paintings in the world. The Rijksmuseum is home to some of Rembrandt’s work including The Night Watch. You’ll also find the work of many other famous artists including Vermeer. The Stedelijk is home to modern and contemporary art. Enjoy a romantic candlelit dinner for two as you cruise along the canals of Amsterdam at night. Gaze into each other’s eyes while you glide under magically lit bridges. You’ll find some well known clothing stores in Amsterdam as well as smaller boutiques. The main shopping areas are Kalverstraat and Leidsestraat which are within easy walking distance of Dam square. Break for a spot of lunch at of the many cafes and restaurants situated nearby. Visit the house where Anne Frank and her family hid from the Nazis for 2 years during world war 11. The house is now a museum with a thought provoking exhibition about persecution and the horrors of war. Holland is well known for its tulips but you’ll find an array of different flowers in the world famous Bloemenmarkt floating flower market. If you visit during Spring be sure to go to Keukenhof the world’s largest flower park as the colours are spectacular. A visit to Amsterdam wouldn’t be complete without a guided tour of its famous windmills. You’ll even get to learn about cheese making and see inside a working mill. Artis zoo is the oldest zoo in Holland and features over 700 different species of animal. There is also an aquarium and planetarium as well as over 200 different types of trees and plants. One of the nicest ways to see Amsterdam is to take one of the many canal cruises. There are plenty to choose from with many offering dinner and drinks. Relax in comfort as you take in the landmarks and picturesque scenery. What nicer way to spend a warm sunny day than a stroll through one of a number of quiet idyllic parks in Amsterdam. Vondelpark is the most well known and major sightseeing attractions in the city.